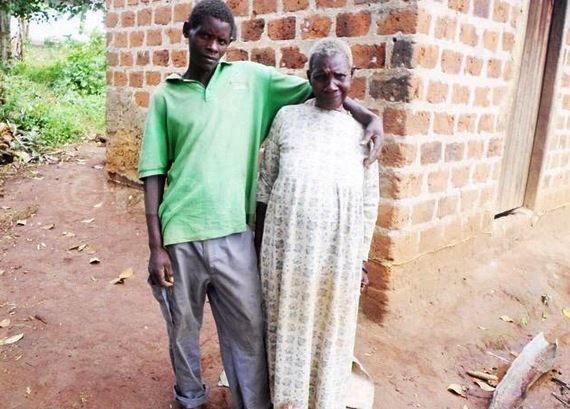 A 27 year old man in Uganda has announced his plans to marry a much older woman after falling in love with her because she is faithful and caring. Steven Tikubuwana and her 70-year-old Zaituni Nakanda, are already living together in a one bedroom apartment around Mukono area. The house belongs to Nakanda, and Tikubuwana moved in with her after he lost his job and becoming homeless. Tikubuwana already has a son and a daughter, and they live with his parents. He said that unlike his former wife, Zaituni is faithful and affectionate. Nakanda had been alone for more than 20 years, and she believes that to find a young husband is truly a miracle. She is happy that the young man is not ashamed to present her as his wife. However, the locals are skeptical about Tikubuwana’s love for the woman, saying that he is only seeking ownership of her apartment.